The cathedral event facilities are available to rent for a variety of activities. All visitors are welcome. Tours are available to individuals and groups by appointment. The interior of the Cathedral has not been significantly altered and displays its original floor plan and arrangements. The floor and staircase are solid marble, mined and imported from Italy. The basement level contains a kitchen and large dining room. The first floor has a large lobby, meeting hall, and various rooms used as libraries, most beautiful and the largest room on the first floor. Carpet has been added and the walls are plaster with grained butterfly oak wainscoting from Italy. 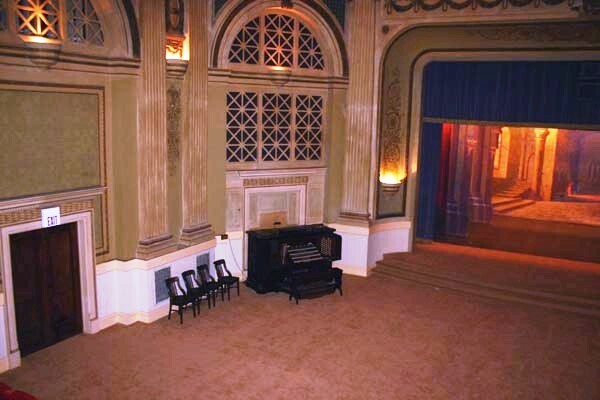 The second floor is composed of a small lobby and auditorium with a proscenium stage. Fellowship Lodge 345 AF&AM and Temple Chapter 95 OES hold their meetings on the second floor. The Scottish Rite, Valley of Joplin, was instituted on June 18, 1901, with twenty-five members. They first met at 5th and Main. They later moved their meetings to the Old Stephens Hotel at 819 Main, where they remained for nineteen years. Membership in 1923 was 1256 members. The cost to build this building in 1902’s was $350.00. The cost of building just the Cathedral would be approximately $7.5 million dollars in today’s dollars. The Missouri Advisory Council on Historic Preservation placed the Scottish Rite Building on the National Register of Historic places in 1990. In December 1909, philanthropist Charles Schifferdecker, a 33rd-degree Mason, deeded to the Scottish Rite Masons property purchased from Lee Taylor at 5th & Byers so that the organization could build a majestic new temple. 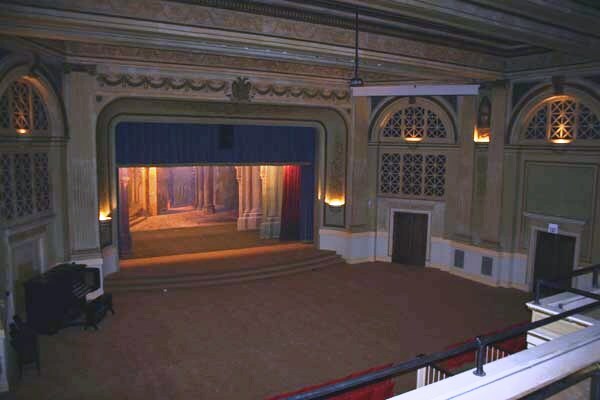 The group announced on February 4, 1915 that it would soon erect the largest Scottish Rite cathedral in Missouri. Financial difficulties as well as the advent of World War I postponed construction until the fall of 1919, when the Masons formally laid the cornerstone. It took architect Herbert M. Greene and contractor C. W. Bane another four years to complete the $350,000 Temple. The Cathedral interior defied description. A double stairway of white marble swept up to a landing dominated by beautiful stained-glass windows. The foyer floor, wainscoting, and pilasters were also crafted of white marble. Above the entrance doors hung “The Omnipresent” a mural painted by W.G. Noll of Kansas City, which portrayed the human soul as it faces Infinity. A tour of the building would overwhelm any visitor, both then and now. 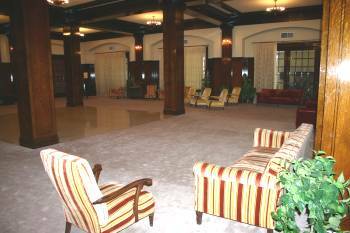 There was the second-floor auditorium, executive chamber, ladies’ parlor, Ladies’ boudoir, music room, game room, social room, reading room, class rooms, lodge rooms, and basement with banquet hall, dance hall, and kitchen. Each room was decorated in the grandest manner imaginable, with decorative paintings, plaster reliefs, chandeliers, mosaics, stained glass, rich wood moldings, etc. The French Renaissance auditorium on the second floor was the grandest chamber of all. Thirty feet up from the auditorium floor extended a ceiling made entirely of art glass gloriously lit from above. A massive $25,000 pipe organ with 21,000 pipes filled the wall. Arches and pilasters framed the elaborate stage, above which suspended 106 hand-painted backdrop curtains used in Scottish Rite ceremonies. A gigantic electric switchboard controlled a complex system for lighting and working the organ blowers. The wiring of the building was an engineering feat all to itself, with 30,000 feet of wire needed. In fact, the Temple’s electrical consumption, which equaled that of a city with a population of 8,000, required the largest transformer in Joplin to handle the load. Today the marvelously preserved Scottish Rite Cathedral continues to be a source of pride to the city. It was placed on the National Register of Historic Places in 1990. Sources: “Scottish Rite to Dedicate New Cathedral Tomorrow.” Joplin Globe. February 11, 1923. “Spotlight on Joplin.” Joplin Globe. February 11, 2003; December 27, 2003.Thomason and Associates. National Register Nomination Form for the Scottish Rite Cathedral. Nashville, Tenn., 1989.